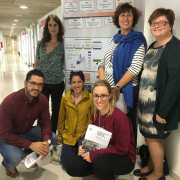 A poster showing our research activities from 2013 to 2017, has been presented at the research exposition celebrating the 25th anniversary of the Faculty of Legal Sciences of the URV. 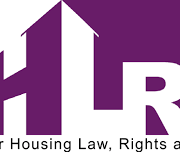 The UNESCO Housing Chair researcher Dr. Héctor Simón undertook a research stay for six months (from 1 March to 31 August 2018) at the Centre for Housing Law, Rights and Policy Research of the National University of Ireland, Galway (http://www.nuigalway.ie/chlrp/), supervised by Dr. Padraic Kenna, thanks to a grant awarded by the Ministry of Education, Culture and Sports within the framework of the “José Castillejo” Call for Young Doctors in 2017. Dr. Simón has analyzed the potential application of the Charter of Fundamental Rights of the European Union in private legal relationships, in particular in the legislation enacted by the European Union in the field of mortgages and consumers. The UNESCO Housing Chair researcher Núria Lambea undertook a research stay in July and August at the Centre for Housing Law, Rights and Policy Research of the National University of Ireland Galway (http://www.nuigalway.ie/chlrp/), supervised by Dr. Padraic Kenna, in the context of the development of her PhD thesis on models of management of social housing from a comparative perspective. 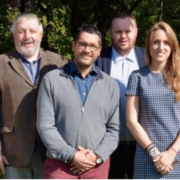 In August 2018, Dr. Rosa Maria Garcia Teruel was visiting researcher at the University of Groningen (Netherlands), hosted by Prof. Dra. Sofia Ranchordás. This research stay on real estate transactions with blockchain was funded by the COST Action 16121 From Sharing to Caring.